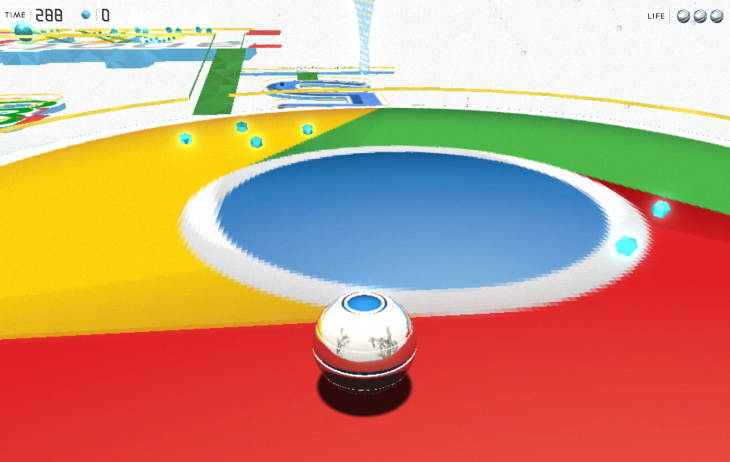 Back in March, Google launched a Super Monkey Ball-inspired Chrome Experiment called World Wide Maze. Essentially, you could grab any website and transform it into a 3D obstacle course. By syncing the Chrome page with another mobile device, you were able to control the ball by tipping and tilting your smartphone or tablet in the air. If you fancy a new challenge, you’ll be pleased to hear that Google has created a new course called Chrome’s 5th Birthday Maze. As the name suggests, the level was designed to coincide with the five-year milestone yesterday. The difficulty is ranked as two out of three stars, but we still found it devilishly tricky. Oh, and there’s a lovely little message thanking Chrome users for their support over the last half-decade. Isn’t that sweet?